If you are looking at How to Challenge DUI Evidence, you must first follow a few steps. The first step after an arrest is to contact an experienced DUI lawyer/ law firm in Missouri and get counsel on your side that knows the facts about defending a DUI successfully; especially if injuries or fatalities are involved. Select Insurance Group recommends using Benjamin Sansone with Sansone/Lauber for your legal needs. Secondly, you have to remind yourself that there are no perfect cases, whether a DUI, Personal Injury or other crime. Any arrest must be based upon clear evidence. The burden of proof lies solely with the prosecutor and you’ll want a firm who is familiar with that system. You are innocent until proven guilty under our judicial system, although it may not seem so if you have recently been arrested and charged with a DUI offense. The first and most critical action is to exercise your right to remain silent, and call a firm to represent you. All evidence presented at trial must have been collected legally. You are protected under the Constitution from illegal search and seizure, as well as from being stopped with no probable cause. There are countless cases in which a law enforcement officers have overstepped the bounds of fundamental rights and pulls over a driver that is not driving erratically, dangerously or illegally. If you were illegally stopped, a motion to suppress the evidence should be filed in court. No evidence means no case – leading to a dismissal. There are many cases in which there are inconsistent stories from the law enforcement officers working the scene. There could be the assertion that you were “weaving within your lane.” If you stayed in your lane, you have not violated the law. This is one possible challenge – an illegal police stop. An experienced DUI attorney knows where law enforcement can go wrong and looks for any evidence where your rights were violated. The next option is regarding field sobriety testing. 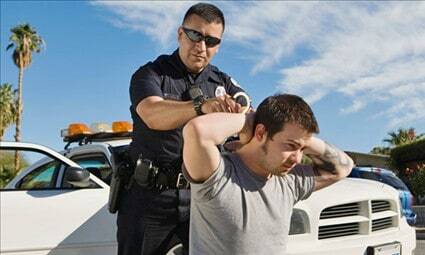 You are not legally obligated to do these tests, and the purpose of field sobriety testing is to gain more evidence against you. If you submitted to the testing (which most people do, as they don’t realize that it is not mandatory), there are a number of factors, other than alcohol, that could cause you to fail the tests, including incorrect administration of the tests. These tests are not reliable. The Horizontal Gaze Nystagmus, where you are asked to follow a light or some other object with your eyes, is particularly unreliable, but is the most damaging because your eyes are generally not visible in a DUI car stop video — so the officer can describe your performance any way he wants. Most Lawyers will suggests you never do this test in Missouri. The other tests are equally bad with maximum reliability by NHTSA’s own standards of 68%. That’s a lot of room for error. (It’s a score of D+ on a basic math test – not very impressive). Law enforcement counts upon these tests to establish probable cause that you are intoxicated and not able to safely operate a vehicle. Nervousness, language problems, age, fear and medical conditions can all impact how well you do on the tests. The officers may have incorrectly administered the tests as well. At the roadside, on a shoulder that is not flat, with cars whizzing by is not fair. You are supposed to be on a flat and well-lit surface. It is almost impossible to do the One-Leg Stand test for many people who have never had a drink in their lives. Challenging this factor by questioning law enforcement about their knowledge of correct testing methods, and what actually took place in your case, can be fruitful. Next, blood or breath testing evidence must be carefully scrutinized. Were you tested with a roadside unit? These units are notoriously inaccurate. These units can be affected by temperature as well as radio waves. The testing units at the station are considered to be more accurate, but are still inherently flawed. These units must be carefully maintained, per a specific schedule, and accuracy must be verified, as well as the unit calibrated frequently. Was the testing unit used properly calibrated? Had it been correctly maintained by a properly trained technician? All of these issues can impact the outcome of your case. There is much scientific evidence that shows that these units are prone to incorrect readings. An experienced attorney knows what to look for. If you were tested for alcohol with a blood test, this is also open to error. If your arm was swabbed with alcohol, this could impact the test. If the lab tested only plasma, not the full sample, the reading will be incorrect. Was there proper storage, and the sample carefully managed throughout the process, or was it possible that samples could have been mixed with others? All of these issues must be carefully evaluated when building a case for your defense. Lastly if you are convicted of a DUI and require SR22 Insurance in Missouri, you will want to contact an experienced high-risk SR22 insurance broker like Select Insurance Group. Experience is crucial when you are dealing with something as serious as losing your license and getting that license back. Select Insurance Group has thousands of policy holders and focuses on working with DUI-related cases. Our agency works with everything from Suspension Violations, multiple violations, DUI, reckless driving, to driving without a license. Our knowledge and experience is paramount and will help you get back on the road sooner while avoiding future SR22/Insurance-related dealings with the law down the road.